“The Astute Speculator” is the most important book on stock market trading since Jesse Livermore’s “How to Trade in Stocks,” a national best seller. “The Astute Speculator” presents the collected wisdom from the greatest forty-five books and articles on speculating, making it the book to read. Know the three speculative trading arts: 1) correct timing; 2) setting stop loss orders; and 3) finding a speculative strategy that works for you. Learn how to sell stock short, how best to sell or cover stock positions and about momentum speculating. Understand trading volume as a signal to turning points, speculative bylaws, money and risk management, and futures and options trading. 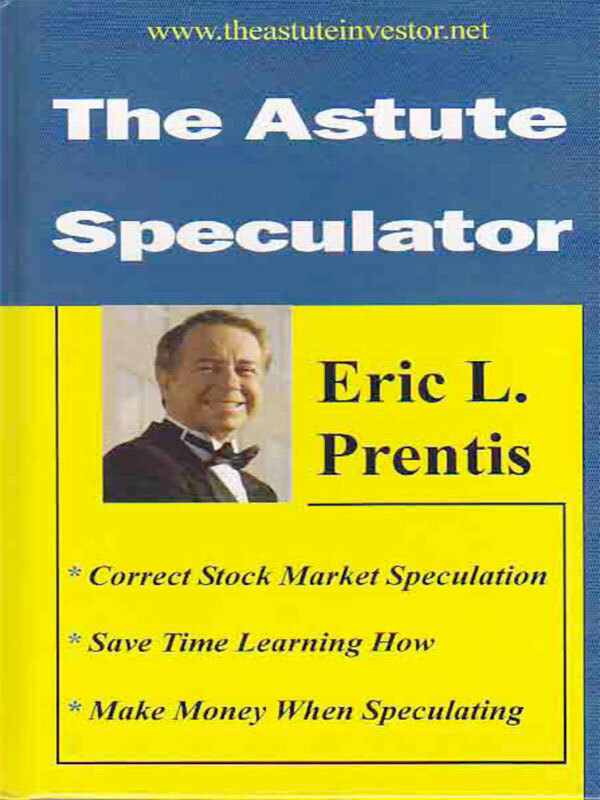 “The Astute Speculator” is the stock market book on trading that is broad in scope yet clear and detailed in its explanations. Successfully apply the best advice and techniques from the stock speculating experts. You can purchase the book online from Smashwords in multiple eBook formats at http://www.smashwords.com/books/view/84001.